When he accidentally bites the side of his mouth he gets a sore and it makes it impossible for him to eat because it hurts so much. He can place one of the Canker Covers in his mouth before bedtime and then the next day there is a huge improvement. I think he uses one a night until it’s gone and the time it takes just depends on how big the sore in his mouth was. The directions on the box say to place the Canker Cover Patch on a clean dry finger with the white side up. Make sure the sore in your mouth is as dry as possible. Use a tissue to dry your mouth. Hold it in place for 20 seconds and repeat after 24 hours. It says that one is usually enough to get rid of the sore, but I know I’ve seen my husband use more than one before. The makers of Canker Cover have given us a sample because we are such big fans and they wanted to be mentioned on my blog. I’m very grateful to them for the sample. It’s going to be used and we’ll be buying more. They even have a mail in rebate of 1.50 to use as a coupon. Oh how I love saving money oh and you can get a limited edition $2 coupon. Click here to get yours! You can use both at one time. 1. The natural ingredients in Canker Cover speed resolution. Most canker sores are eliminated with a single patch. You can get a box of it for free to by entering my giveaway for them. Visit Canker Cover and tell me what other product you would be interested in. ***I am not giving medical advice, this is my opinion on this product from what my husband has told me. Canker Cover is providing the giveaway and they provided me with a sample. Skin crack cream, because it’s just fun to say. I would like to try the elderberry syrup!!! I would love the complete winter kit, it has everything to help you through the winter!! Although it’s my Fiance that suffers through horrible canker sores, I get really bad cold sores instead so I would try any one of their Super Lysine products. this may just be the miracle product i’ve been hoping for. hope i get to try it! I’m a fan of canker covers and am not interested in the other products. i am a fan of coupons, though. I’m interested in the Lip Care Lysine +. The complete winter kit would be my choice… such a help during these long Minnesota winter months! I would also be interested in the Elderberry Standardized Liquid Extract! Thank you for the giveaway! 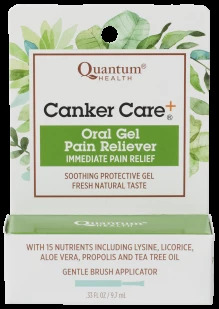 Canker Care/ Mouth Sore Pain looks like it would be useful. I also like the Buzz Away bug repellant towlettes.